Team Ace Racing is proud to support Plaizier’s multi-car family racing team. Between Eddy and his son Casey, they campaign a ’63 Corvette Super Gas, “84 Camaro Super Street and new for 2019 they will debut a ’89 Firebird Trams Am Super Street. In 1995, Eddy debuted his ‘48 Anglia in the Super Gas category at the NHRA Canadian Open. 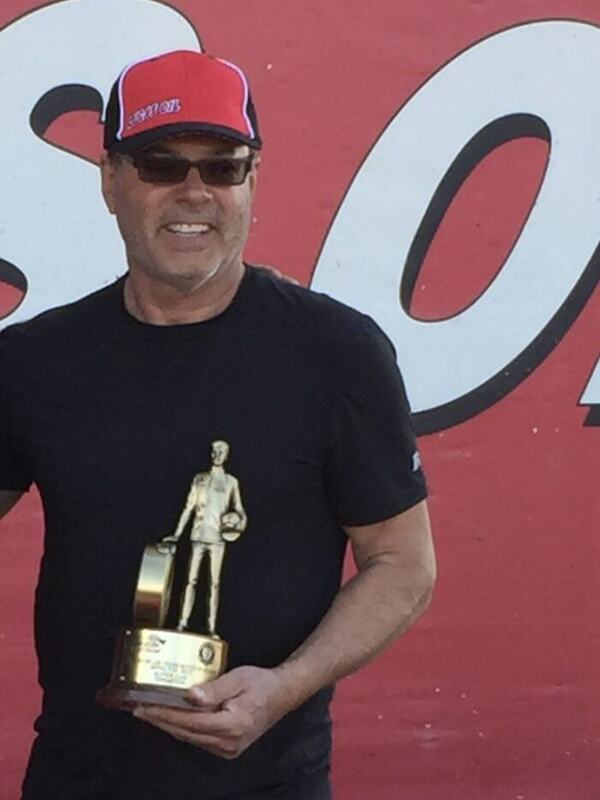 Quickly finding the winners circle, taking home his first NHRA Wally at his home track in Edmonton, Alberta. 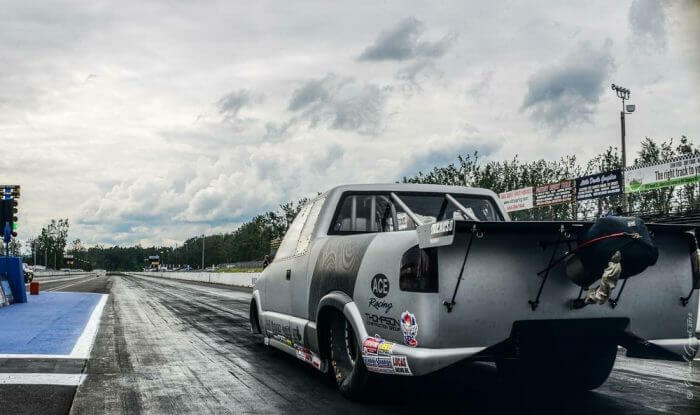 Throughout the years, Eddy of Plaizier Motorsports has had the opportunity to drive numerous cars, resulting in an impressive drag racing resume, a career that has spanned over two decades. His Nostalgia Funny Car career would only grow from that point. Eddy went on to win three International Blown Alcohol Association (IBAA) series championships driving the Team ACE Racing 1937 Chevy Blown Alcohol Funnycar. In 2009 Eddy was honored with the Canadian Sportsman Driver of the Year presented by Drag Race Canada. 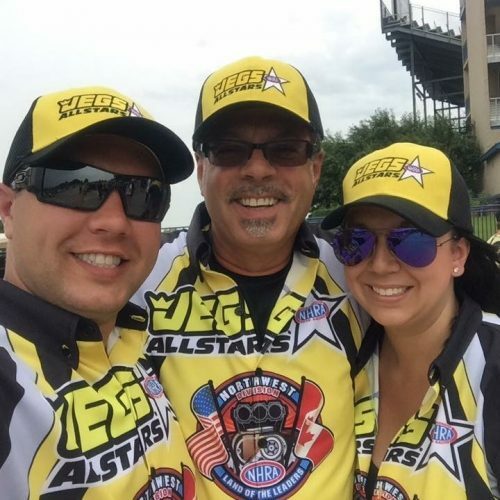 The highlight of Eddy’s drag racing career came in Las Vegas, NV, in 2012 at his first NHRA National Event when he stood at the top of the Super Gas podium as the winner of the JEGS Pacific Sports nationals. Eddy’s success continued in 2013 winning the NHRA Divisional Event in Spokane, WA making it extra special as he got to share the win with his son Casey. In 2014, Eddy put together his career best season finishing first in Division Six in Super Gas and was nominated by his peers as the Super Class Driver of the Year. Following his success in Super Gas, Eddy is currently competing in the team’s 1100 horsepower 2004 Chevy S-10 in Super Street. Francesca (Frankie) Giroux was born into a racing family, so naturally she began racing a junior dragster when she was just 10 years old. Sharing the car with her younger brother, Casey, she was able to hone her skills at her local track in Edmonton, Alberta, in preparation for stepping into the family’s Super Comp dragster in 2005. 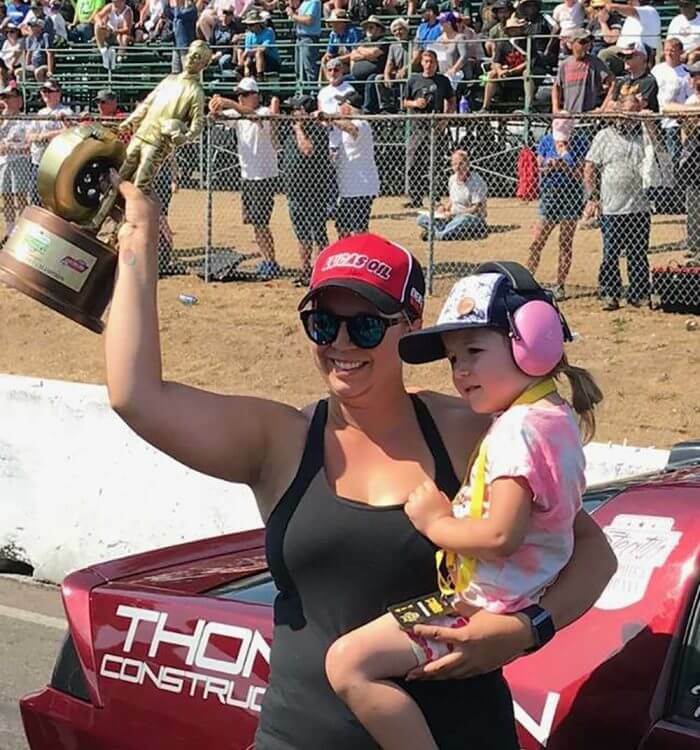 It didn’t take long for Frankie to follow in her father’s footsteps and find the winners circle, winning multiple events in both IHRA and NHRA competition, as well as a track championship in 2008. After her success in the Super Comp/Quick Rod category, Frankie advanced into the Top Dragster category reaching speeds in the low 6’s at over 200 mph. 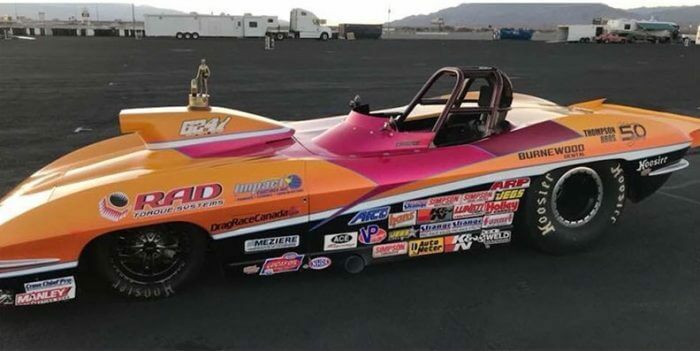 In 2016 she won her first NHRA Divisional Event in Mission, British Columbia, pushing her points total to a career best of second place for the year in Division Six. To cap off another great season, Frankie won her class in S/ST at the 2018 NHRA National Event in Seattle, WA capturing the win with a 10.89 ET against the S/ST index of 10.90. This was her first National event win after her only third time in the car. For Casey, it started with sharing the home-built Junior Dragster with his sister in 1999. From that point Casey matured to a full-time ride in Competition Eliminator class, in the role of both tuner and driver. Casey’s NHRA debut was in Super Street with the family’s 1956 Chevrolet, before he quickly advanced through the ranks to Competition Eliminator, and now on to Super Gas in the family’s 1963 Corvette Roadster. One of the most successful weekend of Casey’s career came at his home track in 2009, when he became the youngest driver in IHRA History to “double-up” at a National Event, winning in both Hot Rod and Super Stock, a record that still stands to this day. From 2009 to 2013, Casey earned five invitations to the IHRA Tournament of Champions, three Nitro Jam National Event wins, three Pro Am Divisional Event wins, a division Championship, all capped off with his second “double-up” in 2012, winning both days of the Hot Rod class at the IHRA National Event in Edmonton again. 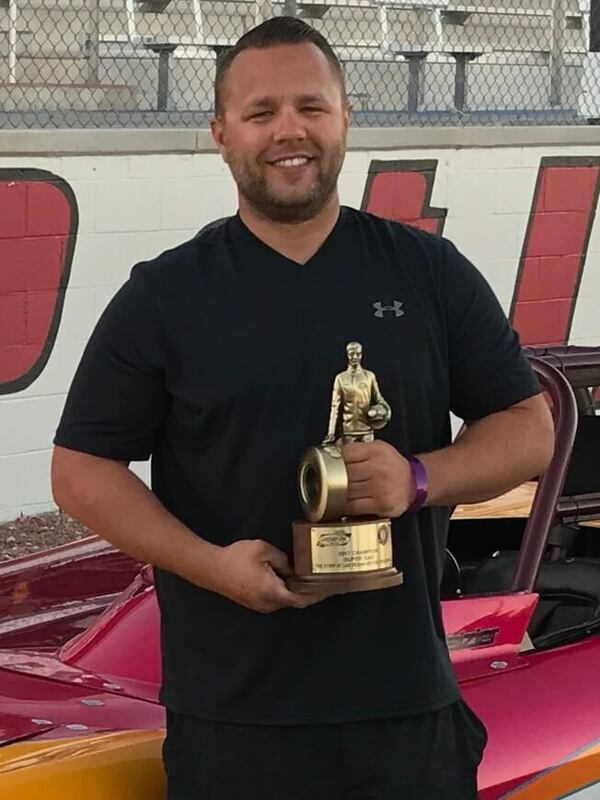 Success has followed Casey in every category he has raced in, racking up NHRA Divisional Event wins in Stock Eliminator, Super Street, and Super Gas, finishing as high as 2nd in NHRA Divisional point standings, while also representing Division 6 as the Jegs Allstar for 2014. “To be associated with Harold and Team Ace Racing since 1996 has been unbelievable. Beyond the friendship we have built, Harold is a class guy. This partnership has been more than we ever could have expected.